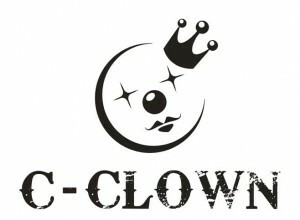 C-Clown, short for Crown Clown, is one of the newer additions to the slew of 2012 debuts. Their name indicates their desire to become crowned kings of music and performance, but I’m afraid their haunting clown face at the end of the music video may scare off some folks before they even give them a listen. 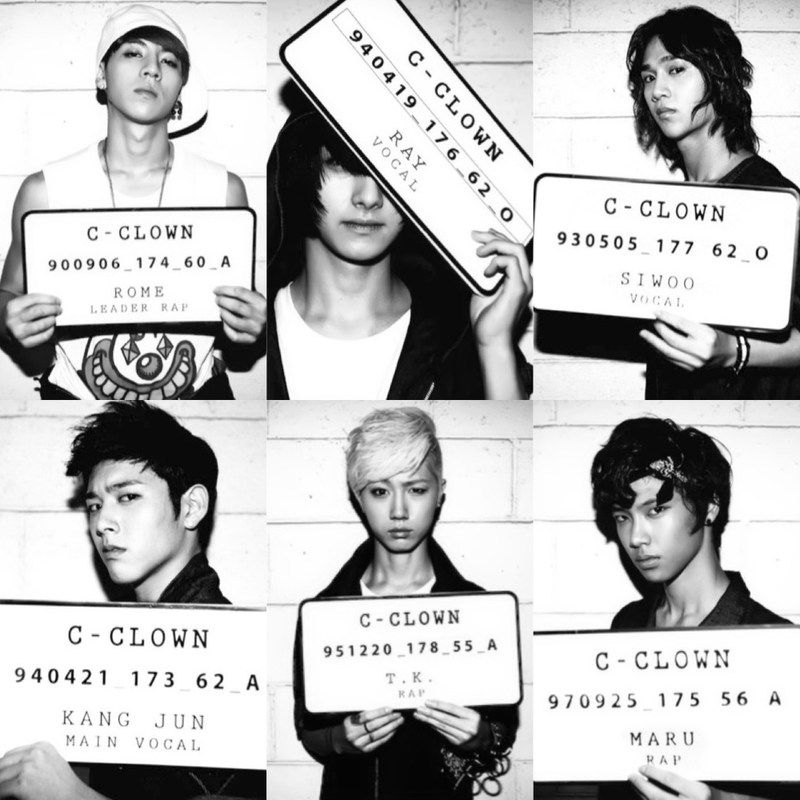 The groups has six members–Rome (leader), Si-woo, Ray, Kang-jun, T.K., and Maru (maknae)–with Western ages ranging from 14 to 21. They hail from Yedang Entertainment, which also houses ALi and CHI-CHI. The group’s debut album, Not Alone, has title song “Solo,” shown below. The first 45 seconds followed the group members through a camera lens or perhaps even the view-piece of a sniper rifle in juxtaposition to photos of the members in hard lighting. The boys looked to be entering places they shouldn’t be and were watched very carefully. There were even German signs saying, “Hochspannung Lebensgefahr,” roughly translated to “Dangerous! High Voltage,” also adding to this sense that boys were where they shouldn’t be. A dance location of the boys looked like where Voldemort hid the Slytherin locket in the sixth Harry Potter book, minus the Inferi: an island in a cave, isolated and across a body of water. All in all, it was shaping up to be a promising video. All members seem to be traveling towards a certain location. Maru is rocking a skateboard while Si-woo models for a car and suit company. Kang-jun takes a slow walk up the steps of a club, and Ray blows up the dirt behind him. T.K. walks down dark corridors as Rome sits in a lavish chair. 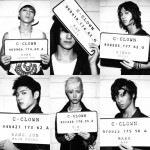 There are short clips here and there of a girl that seems to be the one that broke-up with C-Clown or one of its members. It’s that same girl that is seen in the last seconds, whose face is hauntingly replaced with a clown’s in the flickering light. The last drama scene shows all six boys surrounding the girl near a body of water, implying a rather grisly end for the girl because of this bitter break-up. The entire song swings back and forth between lamenting the feelings caused by the break-up and lashing out because of it; it seems the latter ones won. The eventual drama plot is very different from what the first 45 seconds implied it would be like. The mood is clearly sorrowful and has bits of rancor shown in some of the members’ scenes. But it also features a lot of slow movement which doesn’t match well with the faster pace of the song. In addition, that slow movement gets boring. While the boys are good-looking, much like other idol-groups, there is only so long a viewer can watch a face as it moves two millimeters in any direction on the screen in a ridiculously slow fashion. Additionally, each member’s individual scenes didn’t have a relation to the scenes of the others. It was very disjoint. 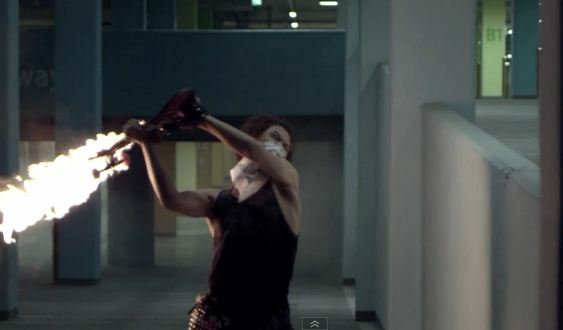 Why is Maru’s skateboard on fire? Why is Ray blowing up something behind him? From a more abstract sense, Maru’s fiery skateboard could be his anger while Ray’s sand explosion is a metaphor for his broken heart, but that is really stretching it. For some of the other members–i.e., T.K.’s dreary walk in a lonely corridor–it gets more difficult to find a meaning. The acting of the members is fairly average, but then again, none of their roles requires much because their characters aren’t defined enough. The music video doesn’t do a good job of conveying the message of the song in a way that is easily captured by the audience. That unfortunately disrupts the intellectual level that a viewer can grasp from a music video. What is good, though, is that the music video introduces the members to the viewers. Like B1A4‘s “O.K.” debut video, “Solo” takes moments to provide shots of the members along with their names, birth date, height, and weight. While these too have no relation to the plot, they help distinguish between members for anyone curious about the group. The cinematography is also done very well for all the drama scenes. There is appropriate lighting, and the overall palette of the background sticks to gray and sepia-like tones with details and the members’ styling deviating as appropriate. The choreography looks above average, especially when seen by itself. The slower hand movements during the chorus draw attention in a surprising way, as do a lot of the staggered stages of choreography. And thus, C-Clown has been unleashed to the K-pop scene. Their debut song is catchy, but their music video unfortunately doesn’t do it justice. Though plot lines are always desired, it’s also important to do them right and in a cohesive manner. But I do give them credit for trying and for creating a music video that promotes the members so that they aren’t faceless. The music video had good visuals, and the dance scenes left me wanting more of them. As such, I give the music video a 3.3/5.